AgilityWorks Flex, a blended, best-of-both worlds support model, based on engagement and innovation. With your SAP systems so integral to the smooth running of your business operations, investment in robust, expert SAP application support is essential - but there’s a challenge to find the right support at the right cost. At AgilityWorks, we provide the balance, delivering a blended model of onshore and nearshore support services, all backed by UK-based service delivery management. AgilityWorks Flex delivers a range of innovative features, built on the foundation of an ITIL-certified service desk. Log and track calls, perform updates or access real-time call information through our mobile app, or search our knowledge base of real customer queries and documentation to save time in resolving issues or queries. Our ‘FlexTime’ model delivers the flexibility you need to get maximum value from your SAP support contract. We’ll define the level of support you need, based on historic call values and user numbers, and provide a monthly report to show you the time you’re consuming. At the end of year one, we’ll even help you adjust your allowances based on your usage patterns. Delivered through a combination of onshore expertise and highly skilled SAP experts in our Portugal delivery centre, AgiltyWorks Flex provides application and BASIS support, monitoring services and assistance in SAP enhancement projects. Our service desk provides three-tiered support across all core SAP modules, ranging from an efficient first-level triage service, designed for simple or self-service queries (such as password resets), to complex technical issues requiring senior-level support. 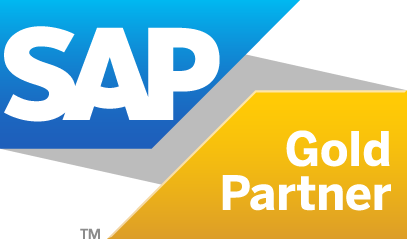 We can also deliver consulting and implementation services to enhance your existing SAP applications. While application and BASIS support form the core of the AgilityWorks Flex support model, we also offer the option to add a wide range of flexible additional services to customise your support package. These add-on services include user training (ideal for small groups struggling with a specific area), testing services, bespoke workshops or monitoring of a particular interface. We can also offer month-end or year-end support for financial processes - with discounts available when you take up multiple add-on services. To reduce the need to manage routine application maintenance tasks in-house, we work with carefully selected partners to provide a fully managed hosting service for your SAP application. Whether you choose an on-premise or cloud based hosting solution we offer reliability, scalability, flexibility and the highest levels of security and compliance. Our BASIS team will proactively monitor your SAP applications landscape to ensure performance and resilience at all times. And we'll ensure you have the capacity to leverage more infrastructure services to support your own developments, such as supporting innovation with SAP Cloud Platform. Through constant investment in our service desk functionality, we make it as easy and as flexible as possible for you to interact with us, helping you get the solutions to your queries as quickly and cost-effectively as possible. With the option to add and remove a wide range of extra services to your contract, plus the chance to review and adjust your usage at the end of your first year with us, we make sure you’re never tied down to a package that doesn’t work for you. While nearshore teams play a key role in our support programme, our service delivery management is still provided by our experienced UK team - bringing you the dual benefits of trusted local-level engagement, with exceptional value for money.